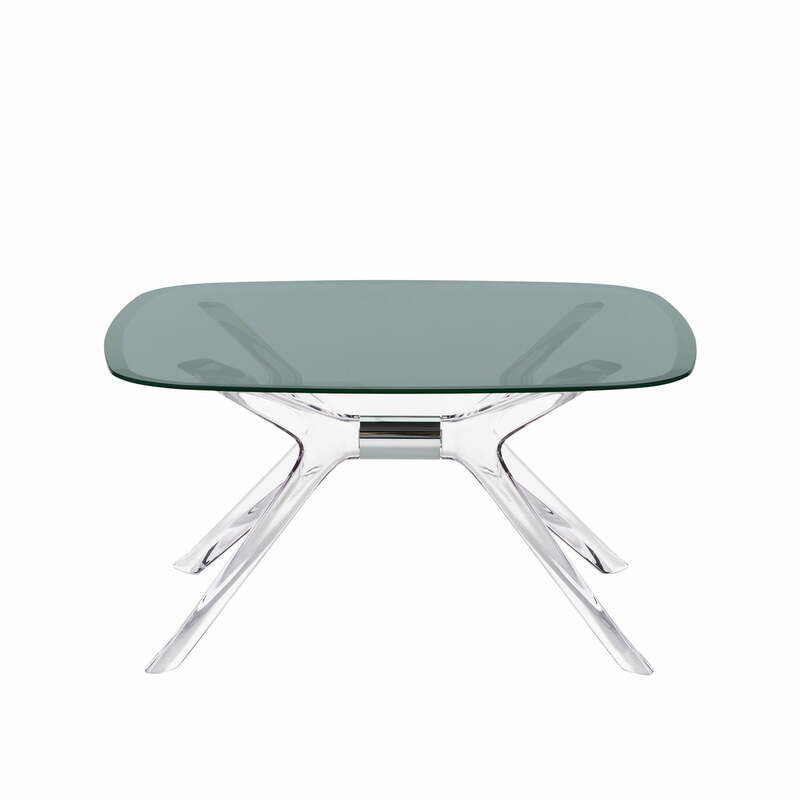 The frame is made of polycarbonate and has an airy-light effect. Thanks to the innovative design, the frame is extremely sturdy despite its delicate appearance. The glass tabletop that is lightly coloured is still transparent enough to see the supporting frame below. 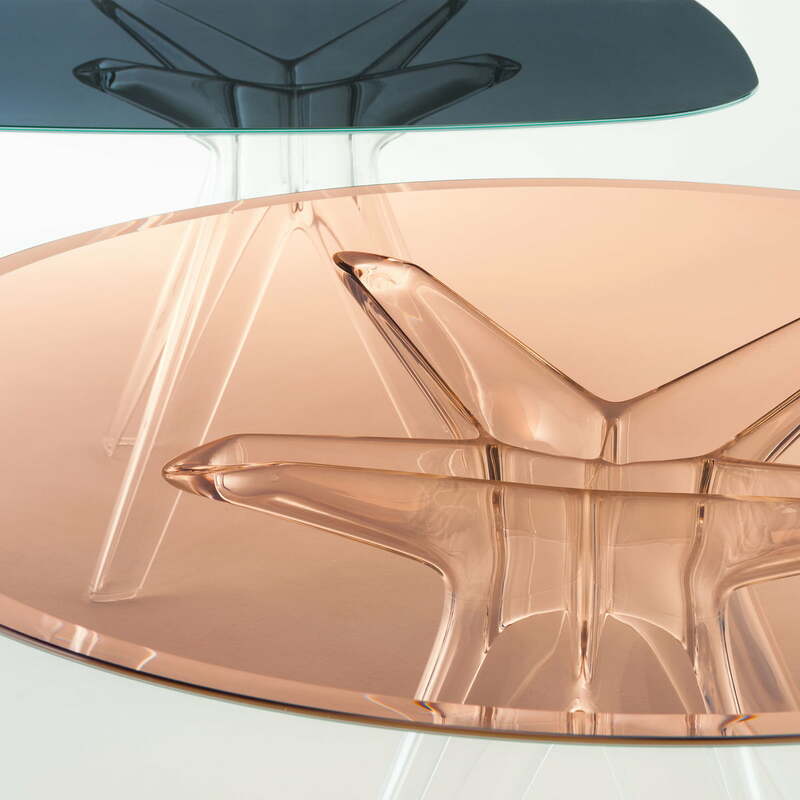 Isolated product image of the Kartell - Blast coffee table. Creating maximum effect with minimal material, its elegant silhouette fills any room with a sense of lightness. Group product image: Sir Gio by Philippe Starck for Kartell is characterised by a light and transparent look that instantly adds touches of modernity to any interior.